Rent Paloma Mexican Haute Cuisine | Corporate Events | Wedding Locations, Event Spaces and Party Venues. 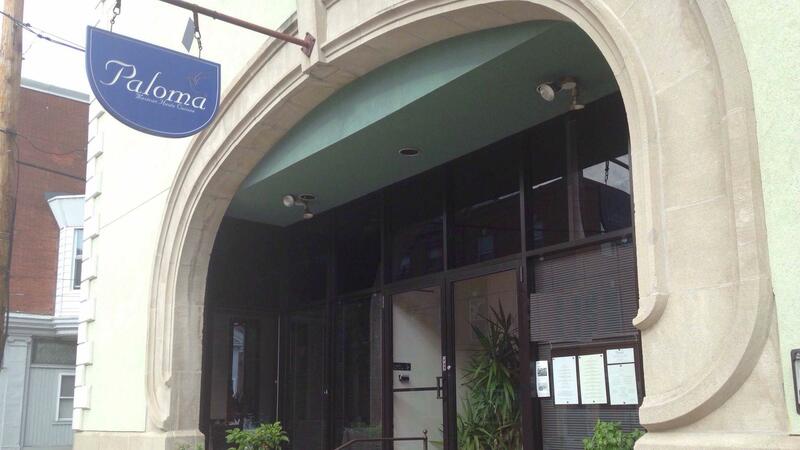 The emphasis at Paloma is on fresh, high-quality ingredients prepared with care and style. Once you try Chef Saavedra's gloriously refined masterpieces, you will never think of Mexican food the same way again. "Haute cuisine" translates loosely as "fine dining," a term not ordinarily associated with Mexican food in the United States. At Paloma, chef-owner Adán Saavedra applies the classic French cooking techniques in which he was trained to the ingredients of his native México. The result is a cuisine that is both visually stunning and unforgettably delicious. Perhaps most important is what this cuisine is not. It is, first and foremost, not spicy unless you want it that way. It is neither heavy nor greasy. You will see no tomato sauces slathered with melted cheese. There are no nachos, no refried beans, and no burritos. The emphasis at Paloma is on fresh, high-quality ingredients prepared with care and style. n 1864, Maximilian, of the noble Hapsburg family of Austria, was sent by Napoleon III of France to be installed as Emperor of México. He established his court in México City, accompanied by his wife, the Empress Carlota. The imperial couple's coterie of French chefs accompanied them to México. The resulting cuisine - a marriage of traditional French cooking techniques with the colorful and flavorful indigenous ingredients - became the Mexican "alta cocina" or "haute cuisine." Although the reign of Maximilian and Carlota was a short one, ending with the emperor's execution in 1867, the cuisine created for them lives on in fine dining restaurants in México City and elsewhere. At Paloma, our guests enjoy the results of this happy culinary marriage.